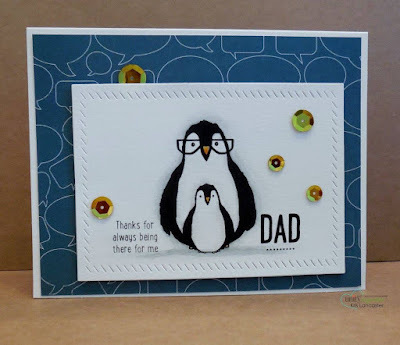 Unity Stamp Company: Stamp of the Week: "Dad is There"
Stamp of the Week: "Dad is There"
Camille here with a couple of Father’s Day cards using the brand new Stamp of the Week, "Dad is There". That’s right folks! Father’s Day is just around the corner and there’s lots you can do with this image. 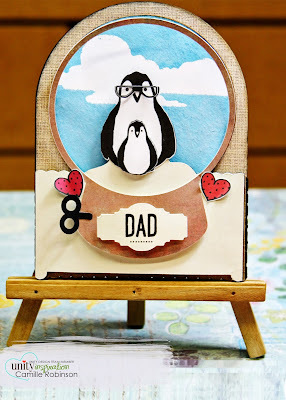 I put together a Father’s Day card in the shape of a snow globe using my Silhouette Cameo! 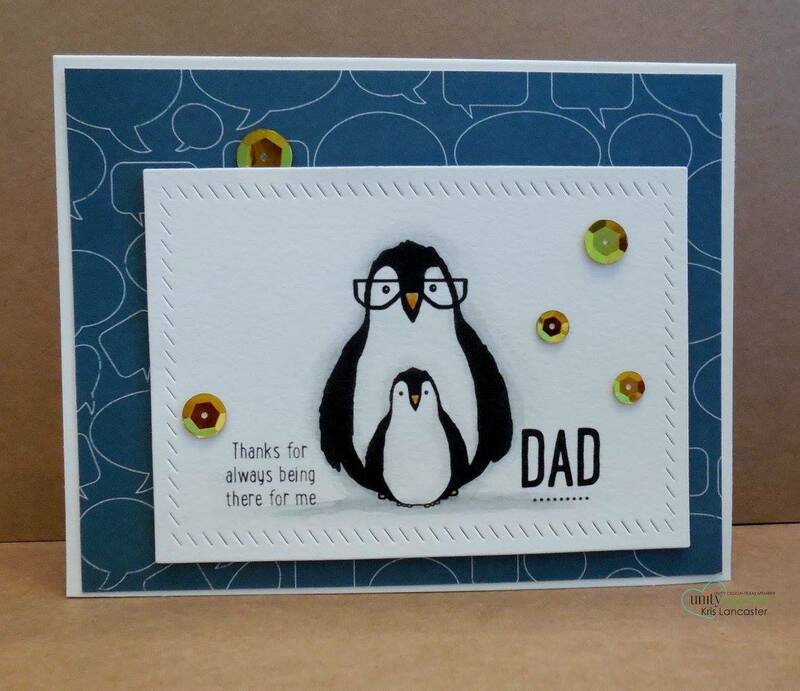 Also, I put down the negative part of a DIY cloud stencil, filled my airbrush with some Broken China Distress Ink, sprayed away, and made the background behind the penguins. YEAH. It WAS quick and easy. Really. 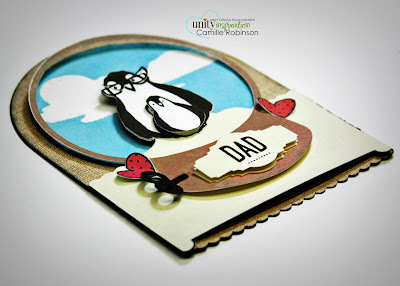 Here’s a look at the inside where I placed the sentiment. 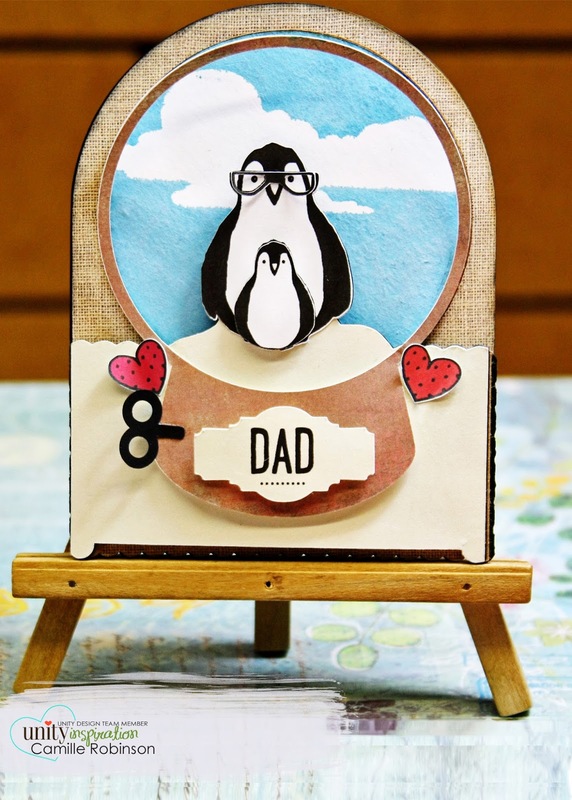 Oh my goodness—LOOK at what Kris Lancaster did with this set! ADORABLE! 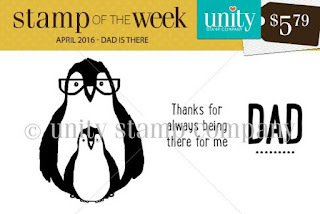 Select the image below to be taken to Unity’s Stamp-of-the-Week Subscription page where you can get on board starting with this SUPER cute image for Father’s Day. I hope you have a great rest of your day and a LOVELY time with your stamps wherever you may use them.